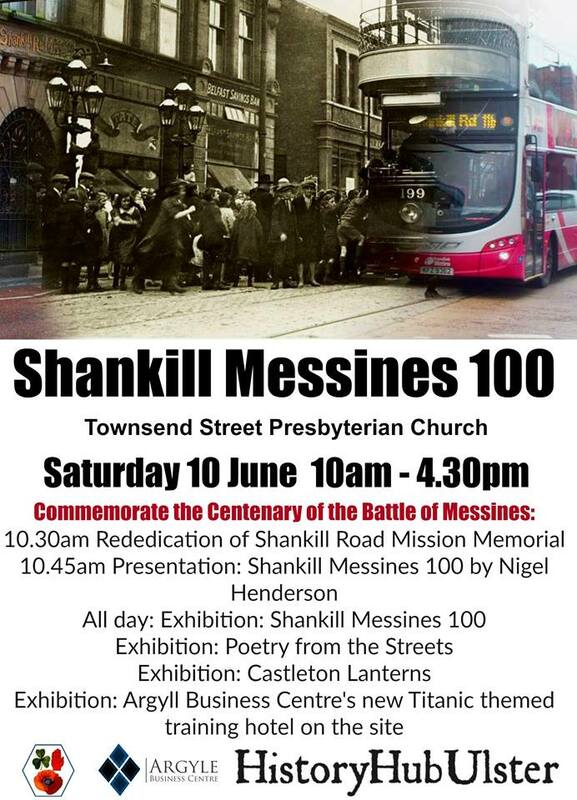 Please come along to support SHANKILL MESSINES 100 at Townsend Street Presbyterian Church on Sat 10th June. This entry was posted in Events and tagged First World War, History Hub Ulster, messines 100, mission, Shankill Road, shankill road mission, townsend street, World War One. Bookmark the permalink.